Description: Echo Park Collection Merry & Bright Paper 12 in. x 12 in. Merry Christmas- Double sided cardstock. 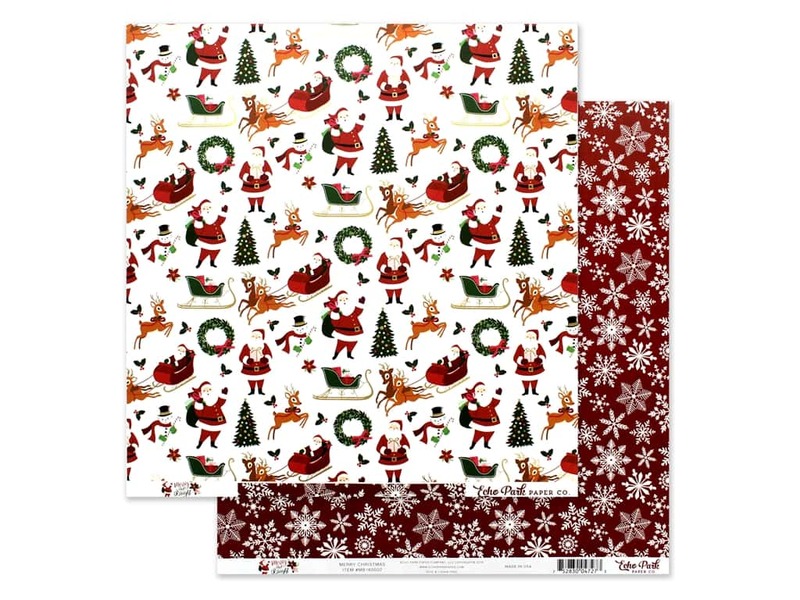 One side is white with Santa in different poses, reindeer, snowmen, trees and wreaths, and more. There are gold foil accents. The reverse side is red with assorted white snowflakes.